93Pts - WS - Deep red and black fruit leads this Malbec driven vintage of the series m. A nose of blackberries, black cherries, raspberry and beef bouillon is followed by balsamic, dried flowers and chocolate. Deep red and black fruit leads this Malbec driven vintage of the series m. A nose of blackberries, black cherries, raspberry and beef bouillon is followed by balsamic, dried flowers and chocolate with a beautiful perfume undertone. 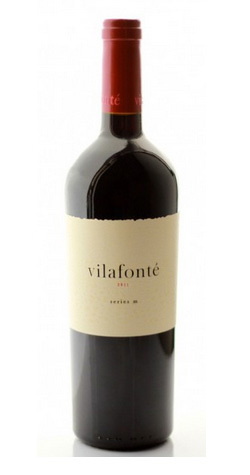 The palate is soft and inviting with good weight and composure. The dry and windy start to spring in September 2012 produced tell-tale weather patterns for a great 2013 vintage. Our locality on the northern Simonsberg bench managed to side step the devastating winds that later that year wreaked havoc through many of the vineyards in Stellenbosch. Weather leading to harvest ranged from mild to very warm, allowing our grapes to reach full even phenolic ripeness with ease.